Your friendly, expert driving school. With more than 60,000 students since 1997, Stop and Go Driving School has been putting safe drivers on Arizona roads for over 20 years. Today, we are the largest driving school in the state. That means we have more instructors, more cars, more locations and more class times than any other school in the Valley. And while we’re all about convenience and making Driver’s Education easy for our students, we believe there is nothing more important than their safety. At Stop and Go Driving School, we understand that everyone learns at a different pace. Our trainers ensure that students of all skill levels, ages and backgrounds feel comfortable with a teaching style that focuses on patience. And we go above and beyond to ensure students are safe at all times. 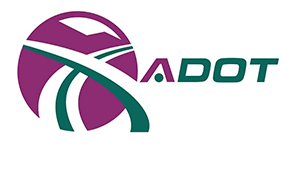 All of our trainers have successfully completed background checks, obtained fingerprint clearance, completed extensive in-car and in-class training, are randomly drug tested and are certified by the Arizona MVD. Most trainers are former school teachers or law enforcement officers, and have a high level of experience behind the wheel, in education and with teens. Best of all, each one is friendly and patient. The only driving school in Arizona owned and operated by teachers with a degree in Traffic Safety Education, Stop and Go Driving School offers knowledge and experience that other schools may not. Our founders also have a background in teaching Special Education and have created a curriculum based on real-life, hands-on driving experiences that suits many different learning styles, including students with ADHD and Autism. Stop and Go is the only driving school that offers an online curriculum approved by the Arizona MVD for Driver’s Education. It’s this in-depth knowledge that has helped us thrive in Arizona for more than 20 years. Our niece had taken the permit test twice before and failed. She was ready to quit altogether but agreed to try one more time. She left your classroom with a 100% on her test and was full of praise for the instructor. Thanks so much for a great driving school.